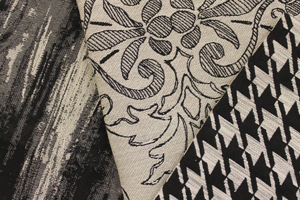 High quality fabrics woven for use from furniture, curtains to throws and cushions. Offers the 'timeless' classic fabrics never to be lost. Solution dyed fabrics, which achieve international norms, or hybrid fabrics are also offered and can be custom made to your needs. 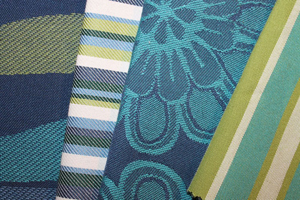 Is a newer and fresher range offering brighter and funkier fabrics for your interior space. 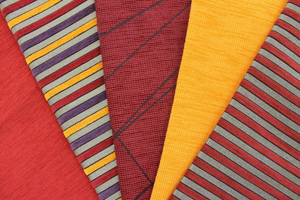 We specialise in jacquard as well as dobby weaving, producing a wide range of fabrics, from cotton to chenille fabrics, for multiple end usage. The company is managed using ISO 9001:2000 as a guideline. 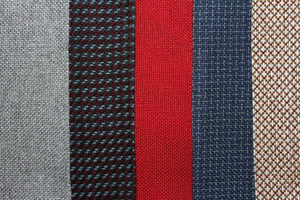 All of our fabrics are quality checked. We run a 'dry' lab for quality verification on all prototypes produced by our design department before samples are released for sales, as well as batch testing of production runs. With a well established and skilful design team, together with highly qualified engineers, we have the design capability to achieve innovative products with the best quality performance to match. @work is a new range we have worked on to bring you a local content product which is made up of flat woven, hard wearing fabrics. These fabrics are made from 100% local raw materials for which we have partnered up with selected South African suppliers to develop. From this partnership, we present a balance of traditional and modern fabrics. The mix of time old classic tradition with new, fresher colours, creates a ‘fusion’ of old and new. This conservative yet fun range works with older installations and an additional classic hounds tooth bridges a few gaps for design and colour. We hope you find @work as exciting as we do. Please contact us to discuss your sampling requirements and ideas. DISCLAIMER: All Please note, that while every effort has been made to ensure that the images on this website represent the fabrics as closely as possible, they serve merely as a representation. 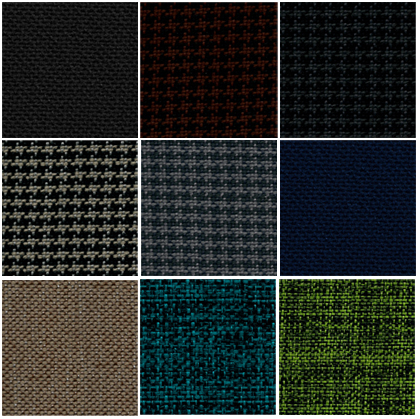 For a sample of any of the fabrics, please feel free to contact us.